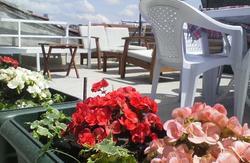 Our hostel is providing the cozy, friendly and clean place to stay. We are not a big , impersonal hulk hostel. We value the independent travelers and we are against any kind of discrimination. So come here to be a citizen of Planet Paprika. 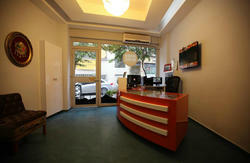 Planet Paprika Hostel is conveniently located at Taksim square. We are the closest hostel to Taksim square and Taksim metro station , just a few steps away from Istiklal Street, the most happening place in Istanbul. At Taksim you can have a better chance to mingle with the local, not with a tourist. And after the exhausting night out, you dont need to worry about the transportation to your hostel. We are right here to serve you. We are also closer to old Istanbul; the touristic peninsula and big touristic spots. Grand Bazaar, Spice Bazaar, Blue Mosque, St. Sophia and Topkapı Palace. You can walk to Sultan Ahmet or you can take a metro with tram. We prefer walking. Since it takes only 30 mintutes from here to Eminn and a bit more to Sultan Ahmet on foot. On the way to old town you can visit Cite de Pera , Nevizade , Galata Tower, Galata Bridge , fish market ,Yeni Mosque, historical Sirkeci train Station, and so on. Yes. Everything you want to visit in Istanbul is on the way to Sultan Ahmet from our hostel. And Taksim Square is the transportation hub in Istanbul, so you can visit almost everywhere without any worry. 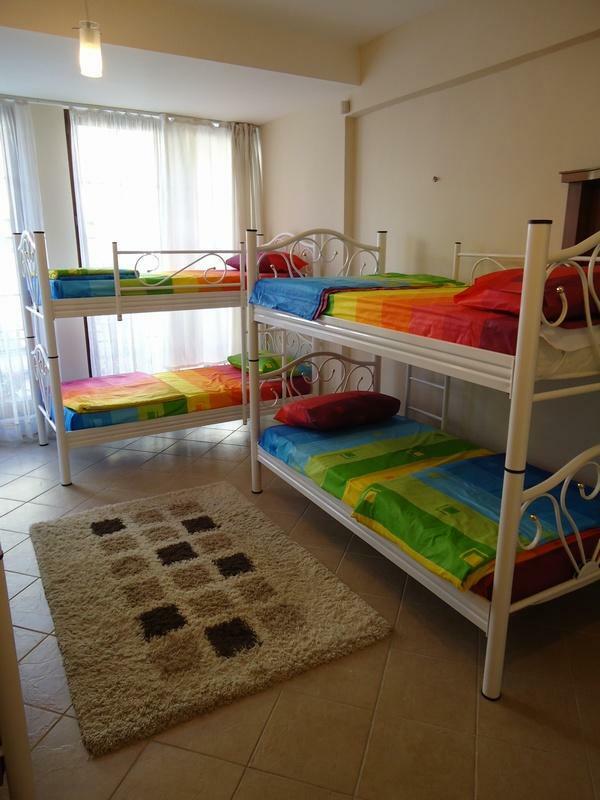 We have Girls Dormitory room and Mixed Dormitory rooms. At Planet Paprika Hostel; we know that when travelling with your partner, you would rather spend the night with them than have to sleep in separate dorm rooms or beds. Thats why we have DOUBLE beds in our 8-bed mixed dorms. Couples can enjoy the budget price but also share a bed in the same room. This room has 1 double and 1 single bed.The room has a big balcony. Inside the room, you have TV, fridge and a bathroom. Fully Equipped Kitchen, from Microwave to Electronic Cattle, Gas range to kitchen Ware and so on. Check in from 12pm or leave your bags before ; at our luggage room. But if we have a bed available at the time of your arrival, well be more than happy to provide that bed for you. But we can not guarantee the early check in. We know that many travelers want to take a shower before the night bus to Cappadocia, Fethiye, Izmir or anywhere. At Planet Paprika you can take a shower even after the check out. Planet Paprika has a 24 hour cancellation policy. You need to contact us by 12.00pm the day prior to arrival to make any changes or cancel your reservation. Otherwise you will be charged for the first night of your booking. We are organizing the pub crawl regularly for free. But you need to pay for your own drinks. We are not taking any commission from any kind of venue. We accept cash only to pay for the balance upon arrival. 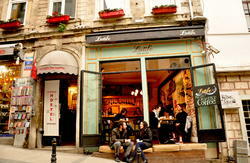 First, you need to come to Taksim Square and then you can come to Planet Paprika Hostel on foot. Just a few minutes from Taksim Square. The best way is taking the Havatas bus, airport shuttle bus outside the airport(white busses). It costs 10 TL/5 to Taksim Square and takes about 30 minutes. You can check the timetable below. The cheapest way is taking a metro from the airport to Aksaray station(1.75 TL). There you can transfer to tram to Kabatas direction (1.75 TL). At the Kabatas Station you need to transfer to funicular to Taksim Square(1.75 TL). It costs 4.25 TL for the whole ride and takes about 45 minutes to 1 hour. There is another way to come to Taksim. But not recommended for the 1st timer in Istanbul. You can come to Aksaray Station and there you can take Dolmus, yellow mini bus to Taksim Sqaure. But at Aksaray you need to know the minibus stop and it will not be easy to find. It is near the tram stop of Aksaray. It costs about 50 TL to Taksim Square. You are advised to settle down the fare in advance. Take the Havatas Bus (13 TL / 6.5 ) to Taksim Square. It will take 1 hour. It costs about about 120 TL. You are advised to settle down the fare in advance. Most of the bus companies will provide the shuttle service to Taksim square from their bus station for free. So when you book your bus ticket, youd better ask the availability of this service. You can take metro from bus terminal to to Aksaray station(1.75 TL). There you can transfer to tram to Kabatas direction (1.75 TL). At the Kabatas Station you need to transfer to funicular to Taksim Square(1.75 TL). Take the tram to Kabataş direction (1.75 TL).It is just on the opposite of Sirkeci train Station exit. Kabatas Station is the last stop At Kabatas Station you need to transfer to funicular to Taksim Square(1.75 TL). It costs 3.50 TL for the whole ride and takes about 30 minutes. Just find the big bus station at Eminn nearby the sea, near Galata Bridge. Ask for the busses to Taksim. It costs 1.75 TL for the whole ride and takes about 15 minutes. It costs about about 10 TL. You are advised to settle down the fare in advance. It will be easy to find. Everybody knows Taksim Square. You can simply ask to local people Taksim Meydanı nerede?, It means where is Taksim Squre. Or once you find the monument, called Taksim Victory Monument, or Burger King (it is located at the beginning of Istaiklal Street.Then you know thats the Taksim Square. * Find the nostalgic tram rail on the ground. The nostalgic tram goes to Tunnel all along Istiklal Street (Istiklal Caddesi in Turkish, you need to pronounce C as J in Turkish). But dont take the tram. Just find the rail road for tram. You can see one goes along Istiklal Street and another turns to the right , at the very beginning of tram way, it goes to Tram Garage. You will see the Tram Garage at your opposite. When you find this another rail way, the one turns to the right, follow this rail way. You will see the walls of French Consulate on your left. It takes 1 minutes to the end. At the end of the tram rail, you can turn left and walk about 20 meters.